Whatsapp, the world biggest social messaging app finally integrated the voice calling features. This shows how rapid the giant social messaging app is growing. However, this should be a very bad news for skype messenger because nobody knows what would become of skype messenger after the full implementation of whatsapp's voice call features to all smart phones. The added whatsapp's voice call features is only available for android phones, but would be pushed to other smartphones soonest. Enabling the whatsapp's voice call features on your android phone is very much easy, but there are some factors to be considered in other to enroll for these features. Firstly, make sure that the person you want to communicate with, through the whatsapp's voice call, is already connected to whatsapp. Then you must have root access on your android phone. The operating system of your android phone should be android OS 4.4kitkat or above it. You must update your whatsapp to the latest beta version, which is 2.11.508 precisely. Once the above is factor or requirements is being made available, then you can proceed to the below instructions. » Download terminal emulator from here. » After that, install the app and input the below command. 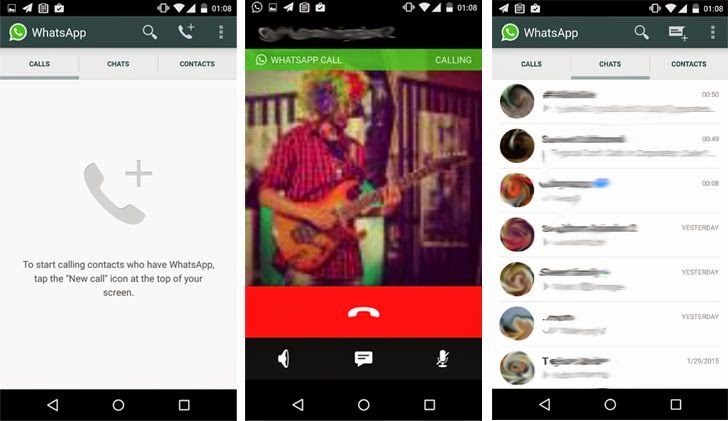 Once the above process is completed, then you would notice the whatsapp's calling features.